Welcome to Educaton Info BD. 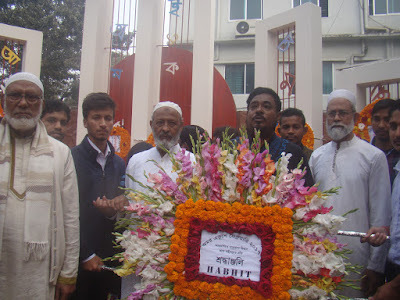 Haji Abul Hossain Institute and Technology is the most popular institute in Tangail. I try to reach all the information about this college. Now I discuss about it's academic information, admission process, teachers, hostel, and address. These are describe below. Haji Abul Hossain Institute & Technology is one of the largest Institute in Tangail District. It's education venue is different, This institute maintain under the national university. There are many institute of HABHIT in Bangladesh. Here i am going to tell about the academic information of HABHIT. HABHIT is popular as the honours level institute in Tangail. Its main campus situated in mosjid road, Tangail. The course complete after 4 years. The institute gain a good credit for the fondling and encouraging environment. The administrates and staffs is very experienced. The institute has a wide range of courses . which can help to improve the general knowledge of the students. The teaching staffs has amazing methods. Every year 50% students admit here by know the advertisement. The Admission process of this institute is very easy. If one students want to admit this college she/he should have some abilities. Now we will give you the information about the admission process . Students wants to get admit to this institute. The students need to have some ability .Minimum ability for applications they must be need to get:GPA 3:00 in HSC examination. After some authentication experienced students can get a chance to study here. This is important part of this institute. Now i am going to tell about the education system of this institute. The goal of this college is progression in education system. The teachers take their class with updating media. There have fixed teacher for each subject. Every department has own GT teachers. They maintain this department . The need of students principle arranged to take extra class by the guest teacher. There have laboratory and library for increasing the knowledge of students. The institute fund manage scholarship for auspicious students . About 80% students can be able to receive the scholarship. The poor students can study with free amount of session fee. MD. Mijanul Islam (Head of the department). From read below lines you can upgrade your knowledge about hastel facility of this college. Every college /versity have their hostels in their hall. There are many facilities in hostels. There have seperate hostels for girl,s & boy,s.Students attend their class without facing any problem. The quality of food is healthy and jerms free. The of hostels take care of the students like home. Now I want to give you the full address of this institute. From this address you can easily reach in this college. Thanks for visiting our website. You want to know more details about this college? You will have to regular in our website.